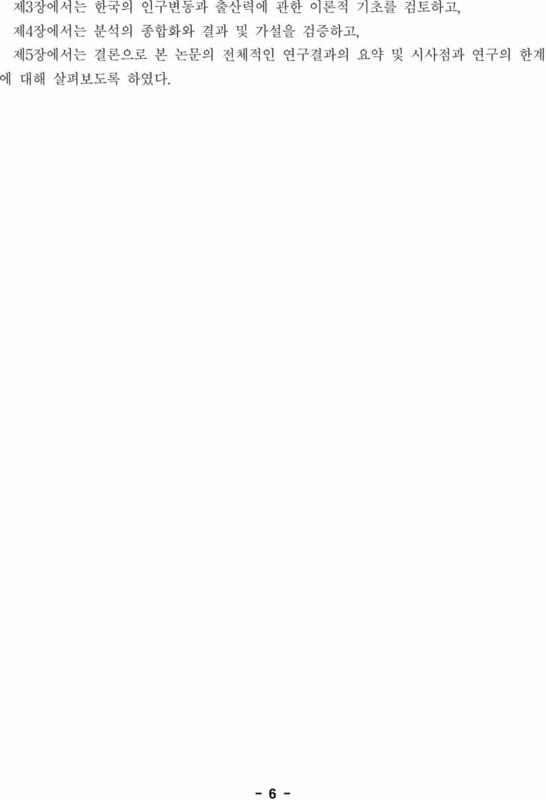 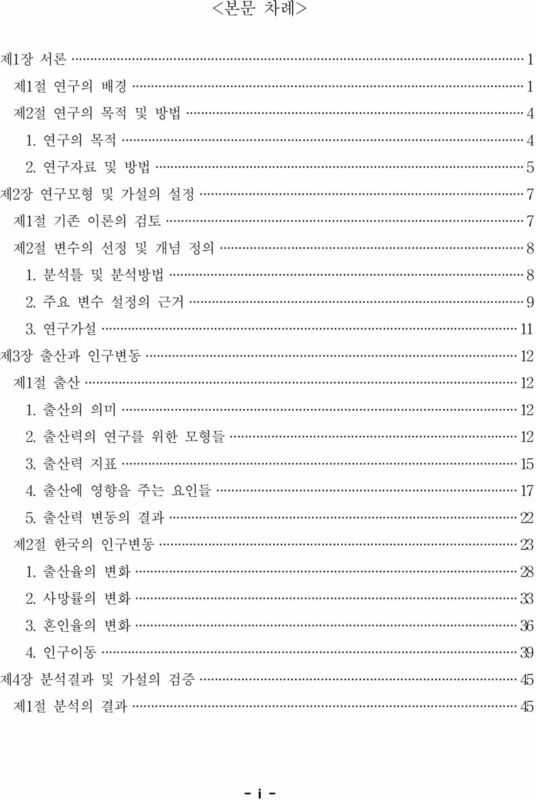 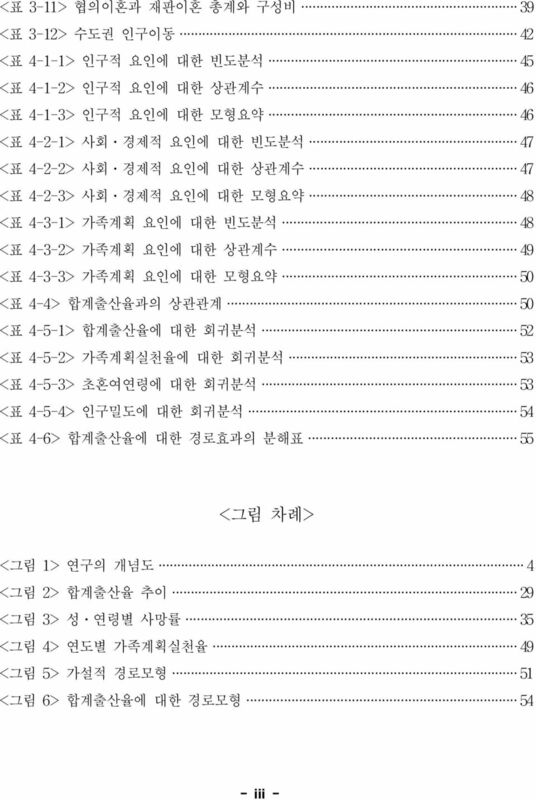 Download "한국 출산력의 저하 요인에 관한 연구"
72 ABSTRACT A Study of Fertility Decline Factors in Korea By Pyoung-Ill Park (Advisor: Prof. Kyung-Eun Lee) The demographic transition from a society characterized with high fertility and mortality to the one with lower rates in the modernization process is of particular interest for an in-depth analysis because of its policy implications for a near-developed country like South Korea. 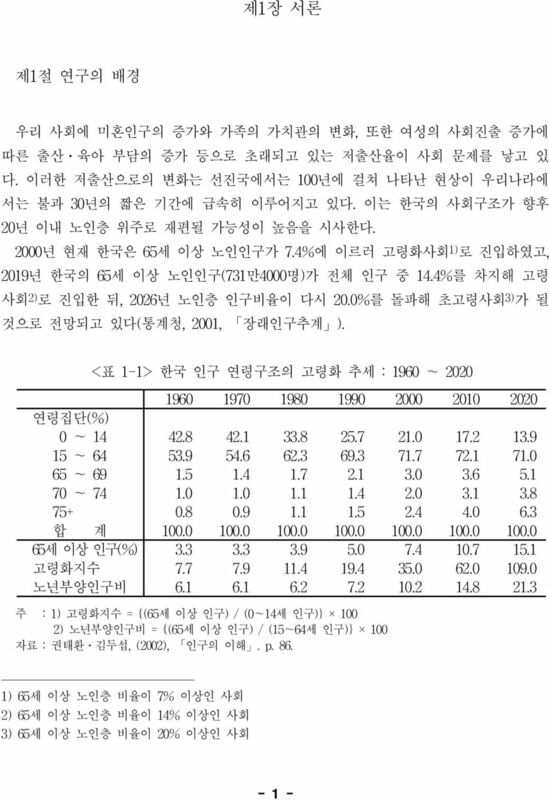 A rapid and persistent decline in fertility began to occur in the early 1960s when South Korea joined the group of developing nations so that her real per capita GNI and urbanization strikingly increased yearly. 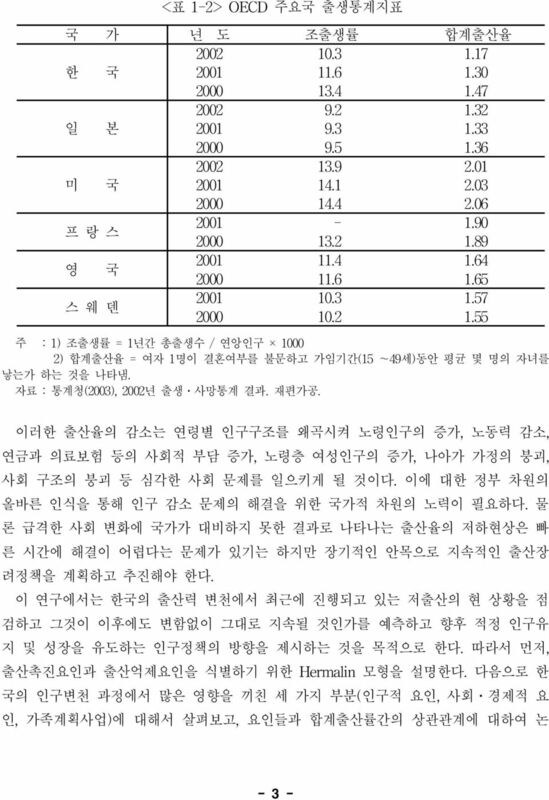 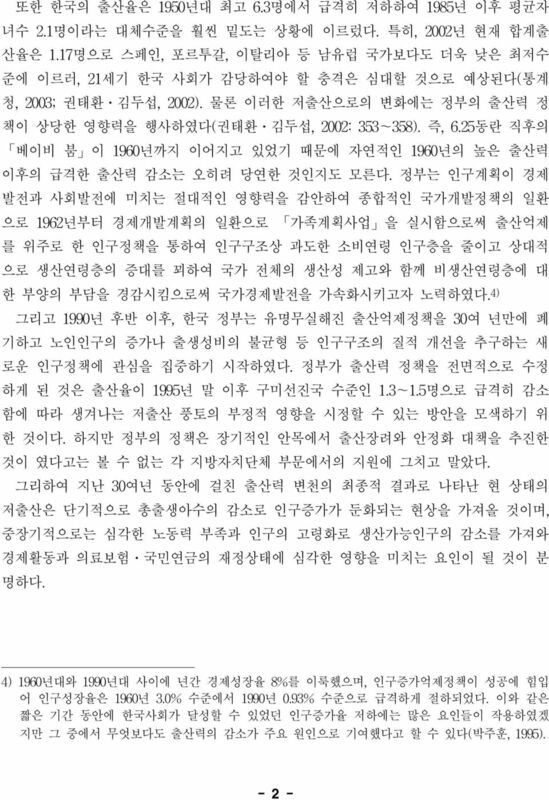 This study examined the yearly data from 1970 to 2002 when Korea experienced a precipitous drop in total fertility rates, i.e., finding out which factors affecting such a continuously decreasing total fertility rate. 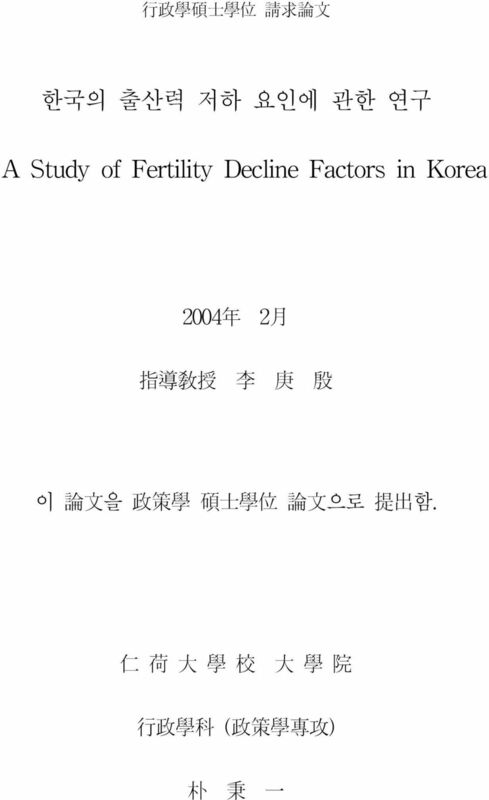 For this purpose, this study adopted the Hermalin's Model is to understand the forces affecting the fertility history in Korea. 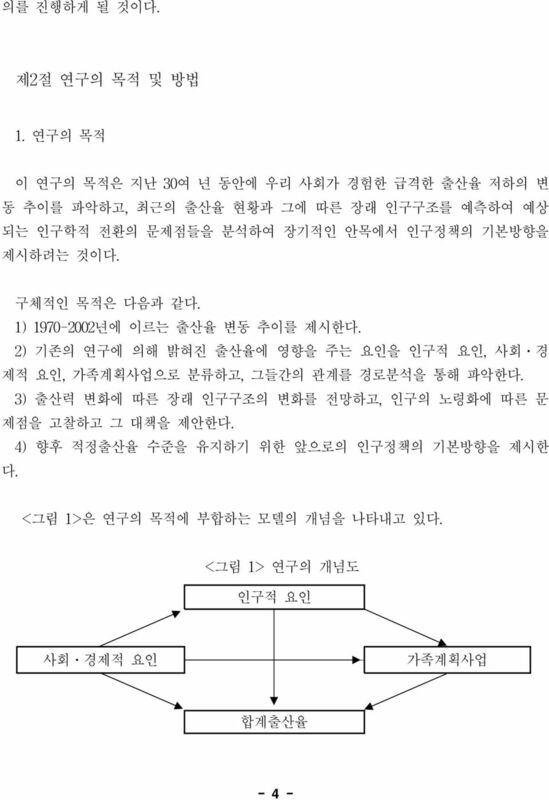 This model allowed the author to hypothesize that population, social-economic and contraceptive factors created an environment in which the demand for children continuously tended to decline. 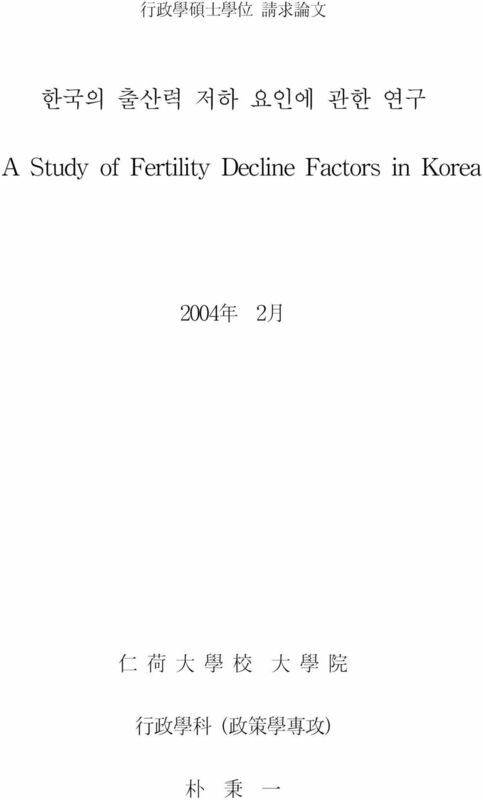 To investigate population, social-economic and contraceptive factors in the Korean fertility history, an analytical framework of fertility behavior was necessary for the understanding of the theoretical correlation between total fertility rate and relevant factors. 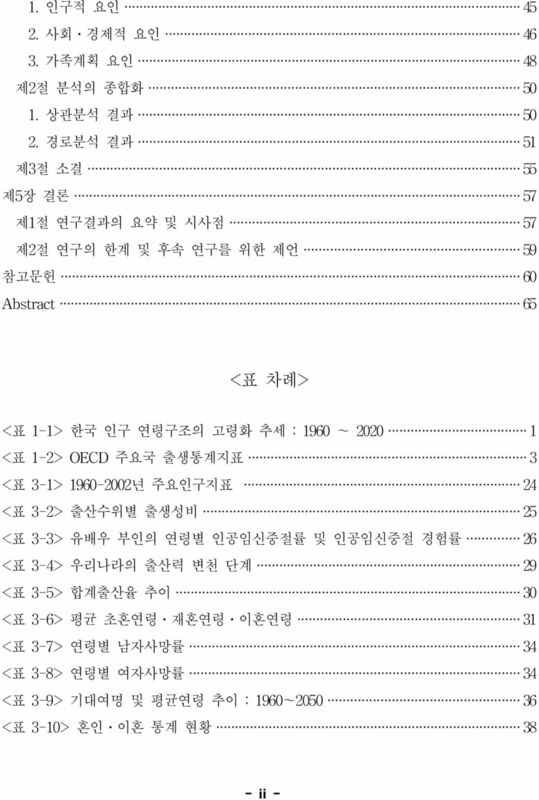 The multiple regression analysis and the path analysis were used to examine the effects of population, social-economic and contraceptive factors on total fertility rate. 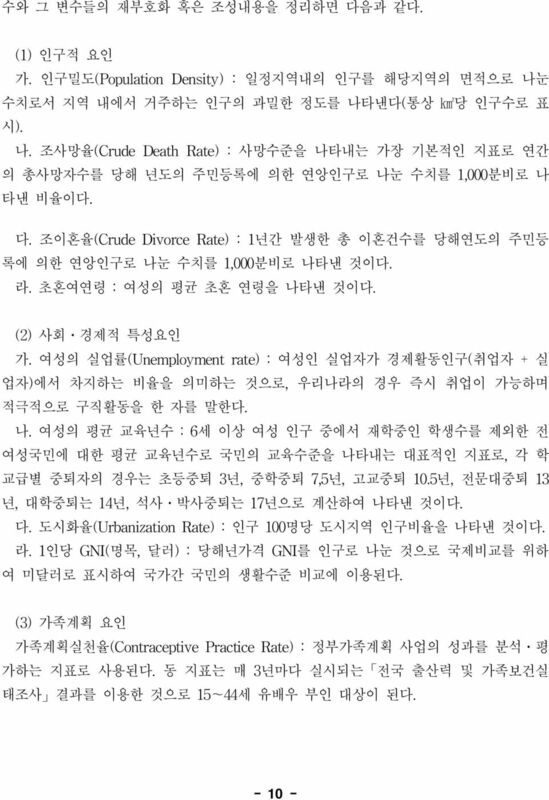 The multiple regression analysis resulted in that positive crude death rate, negative contraceptive practice rate, negative per capita GNI, negative crude divorce rate, negative population density, negative urbanization rate respectively affected, statistically and significantly, the continuously decreasing total fertility in Korea.